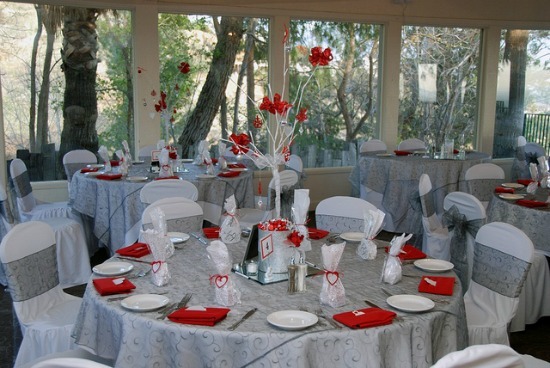 25th anniversary party ideas with silver as a theme can create a very special and beautiful event. Silver is the symbol of 25 years together and shows how brightly your love shines. For your Anniversary Party Decorations use silver as an accent rather than covering everything in foil! 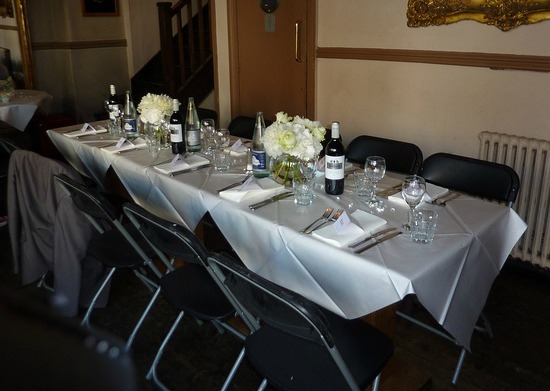 White table cloths with a silver material runner or if you have the budget look at either hiring or buying silver plates. Most cutlery is stainless steel so that will add to your silver theme. You could tie a silver ribbon around each napkin and your centerpiece could be a great floral display of silver foliage with white and pale blue flowers. 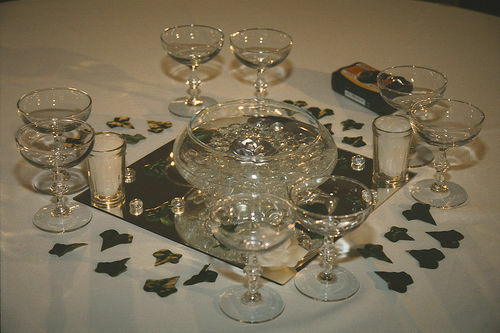 or silver wrapped sweets in glass bowls. 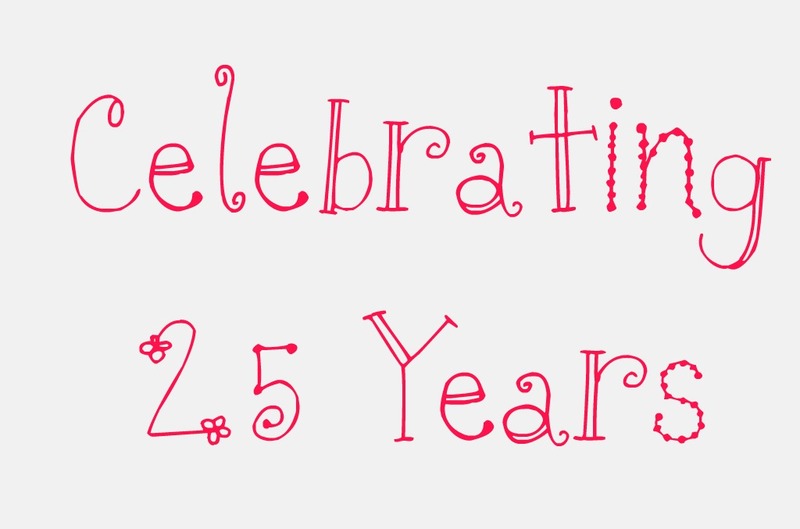 You can also buy a lot of party stuff such as banners, balloons, napkins, cups, confetti, party poppers all with Happy 25th Anniversary on. If your silver anniversary is close to Christmas you could link this with your decorations and have Christmas trees with silver baubles, tinsel and fairy lights. Even if your 25th anniversary is at another time of year you can still use silver Christmas decorations. Real life silver anniversary parties do have touches of silver from subtle to full on bling! Take your inspiration from modern wedding trends as anniversary parties have come of age and can be glamorous and classy affairs. 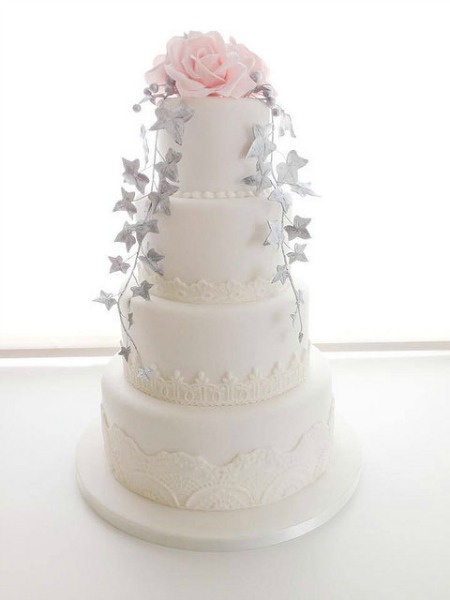 This beautiful anniversary cake has silver ivy cascading down the sides. You could add a silver 25th cake topper to keep with your theme or you could even use your cake topper from your wedding. Or surround your cake with photos of the two of you from the past 25 years. 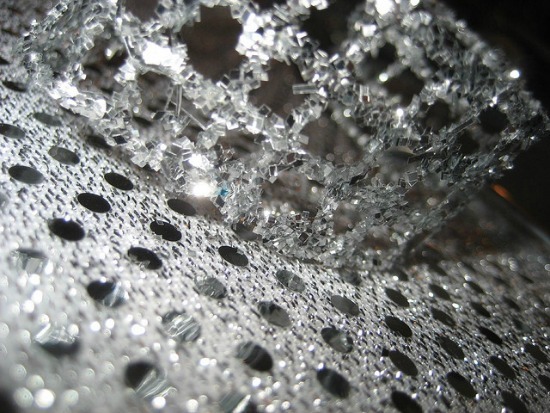 Adding silver sparkle with sequined table cloths or runners is a big trend at weddings at the moment and they look stunning, perfect for your 25th anniversary party. Available from Koyal Wholesale if you are looking for full on sequins or Luna Bazaar if you want a more subtle sparkle. To set the tone of the party you will need to start with your invitations, do you want a formal or relaxed party? For a formal event you could have a silver and black tie dinner with smart silver card as your invitation or black card with silver writing. The front of the invitation could read 1990 to 2015, celebrating the silver anniversary of mr and mrs.
For a more informal invitation you could have photographs of the both of you from the year you got married with the classic line in silver "Guess who is celebrating their silver anniversary?" The details of the party will be inside; date, time, location and dress code. Here are some free printables for you to use.